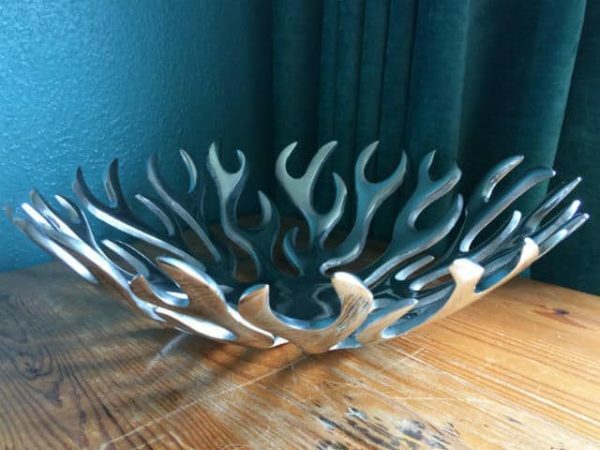 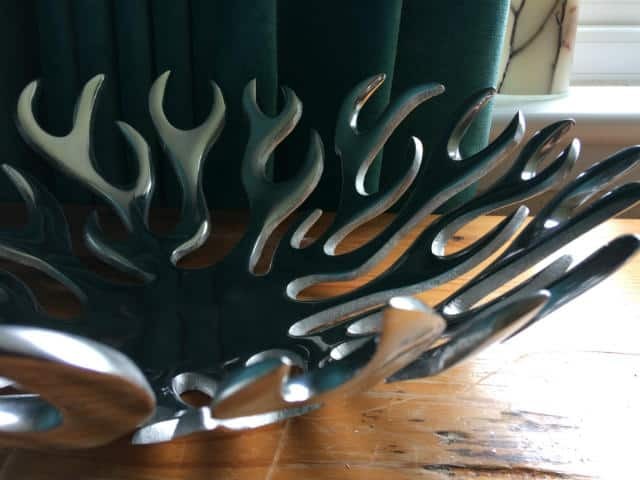 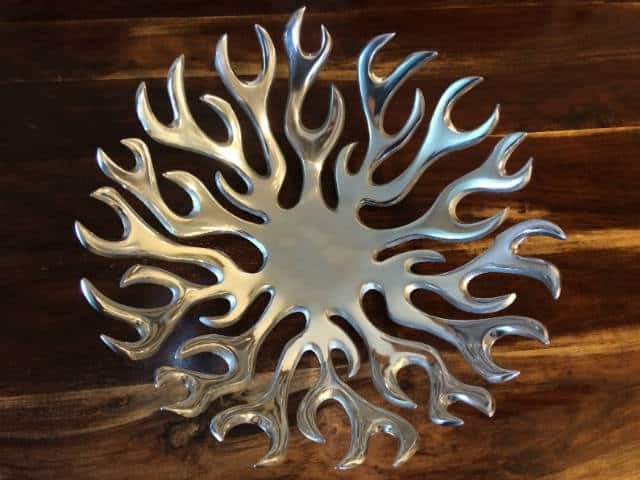 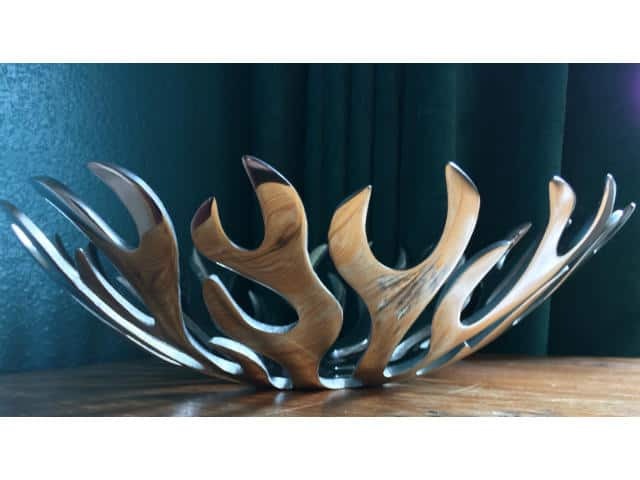 Aluminium Flame Bowl Centrepiece for your home decor. 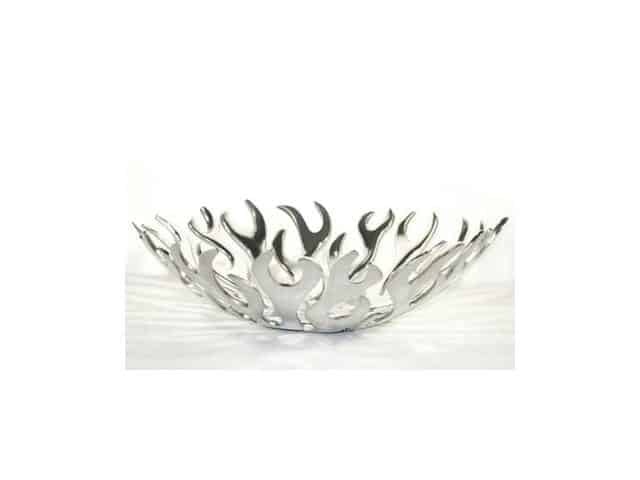 This “Flame” design bowl is a real stunner and will be a talking point for guests. 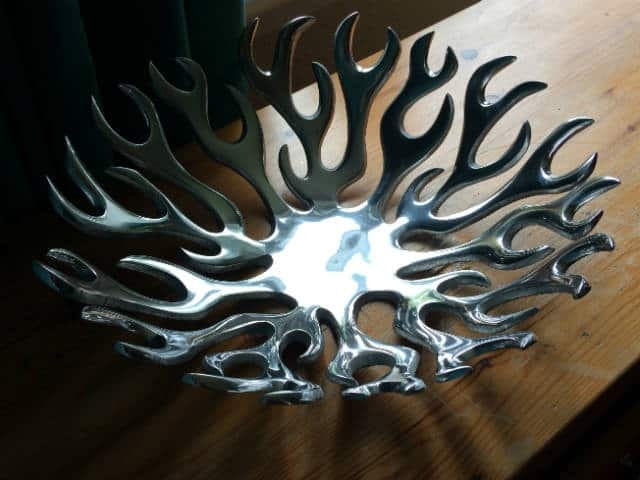 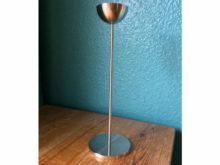 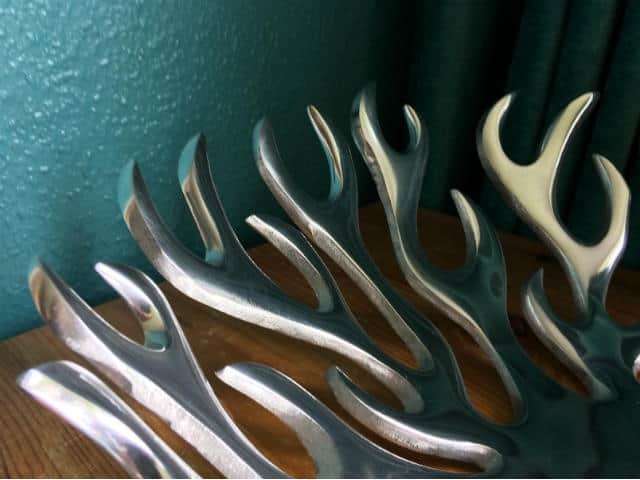 Made from top grade polished aluminium, it most definitely has the wow factor. 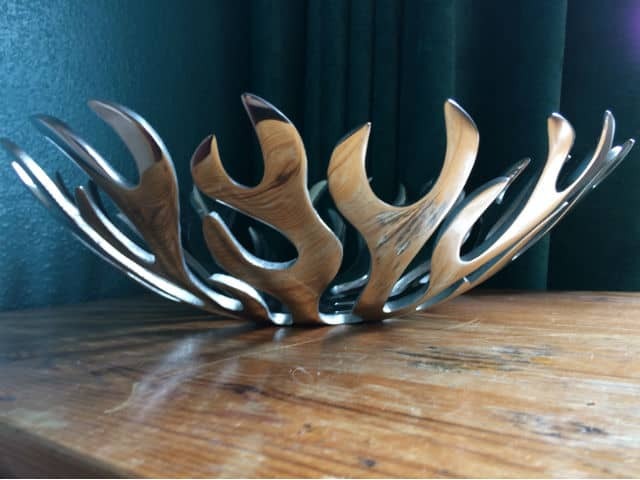 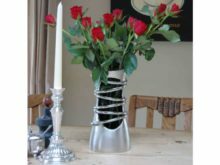 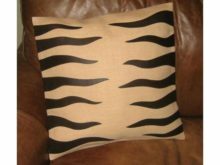 Use as a useful bowl or as a dramatic centrepiece on your dining table or sideboard.